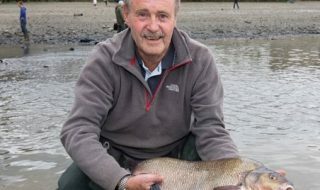 The National Federation of Anglers in partnership with Summersdale Productions are pleased to announce the launch of an exciting new DVD entitled “Coarse Fishing Made Easy”. The DVD will be launched from the 2nd October 2006, and costs £9.99 excluding postage and packaging. 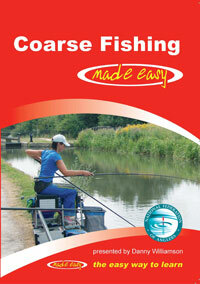 This is the first instructional DVD that is a fundamental guide to starting coarse fishing. After watching this DVD you will be able to select the correct tackle and start fishing safely and successfully every time you go to your nearest river, lake or canal. There are no expensive complicated rigs or setups, just simple easy to follow step by step instructions in the basics of angling. As it’s fully interactive you can either watch each chapter individually or just one section at a time until your happy you’ve picked up all the great tips. “The NFA’s DVD is a great tool for coaches. The layout is professional and the interactive nature of the DVD is very good. The content is very clear and concise making it easy to follow and allows the viewer to navigate themselves around to sections that they need. I have a group of novice anglers who will find the DVD really useful, being able to pick and choose what area they want to look at and learn at their own speed will really help them progress quickly. They can visit any chapter they need to without having to watch the whole thing again and again. This will allow them to easily put into practice what they have seen on the screen making it a fantastic learning resource for us coaches. To purchase the DVD please call the NFA Office on 0115 981 3535, all orders will be sent recorded delivery. We start right at the beginning and look at setting up our fishing station, putting our line on a reel, setting up a rod and mixing ground bait. We then look at baits & knots, taking a look at some of the most common baits, and showing you how to tie a couple of essential knots. Next we cover telescopic pole or whip fishing, taking a look at a couple of whips, the rigs, plumbing the depth and casting. The next section covers float fishing or Waggler fishing as it’s known, where we will look at attaching floats, shotting, plumbing up, casting and striking. 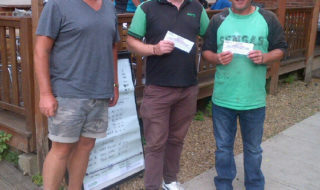 We also look at leger fishing and show you rods and line, feeders and leads, setting up, bite indication and striking. In this section we put everything together and go fishing, where we will cover feeding, casting, striking, playing and landing, fish handling and returning. Chapter Seven – So what’s next? 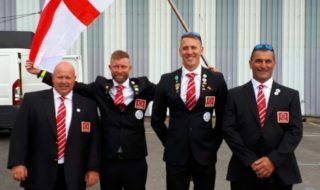 There is advice on how to take your interest in angling further through NFA clubs and coaching.